Cover Shot for Jimmy's 2nd CD release- Night Time Again from Delmark Records . 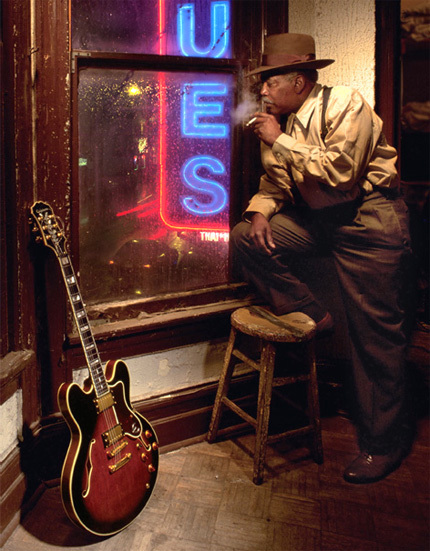 The location is an upstairs window at the Chicago blues bar B.L.U.E.S. on Halsted.